TheBlueGuerilla: EXCLUSIVE: CF Storm After 'Leaked' Mail List. EXCLUSIVE: CF Storm After 'Leaked' Mail List. 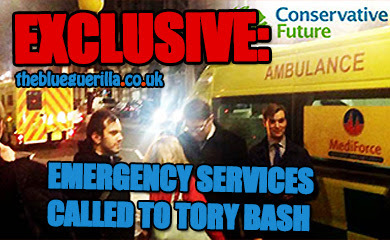 FURY has erupted over the alleged leaked list of young Tories by a senior Conservative Future (CF) executive member, TBG can reveal. 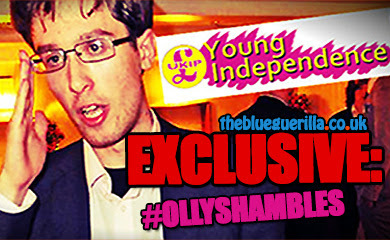 TBG has been inundated with messages expressing outrage at activists seemingly having their private emails used to help promote the private campaigning of a current National Executive member, for a position outside of Conservative Future. 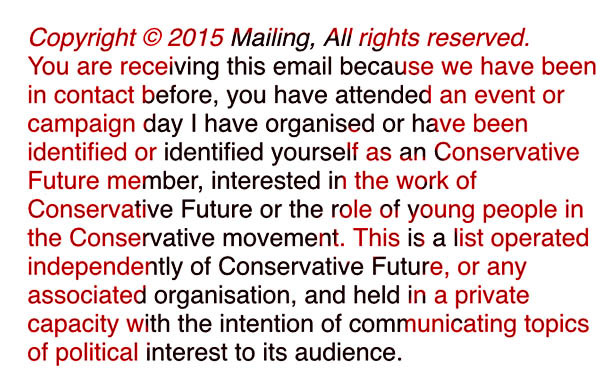 The email, which was sent to hundreds of CF activists this week, has been accused of breaching strict Conservative Party rules on data and is quickly becoming known as 'emailgate'. The email disclaimer seen by TBG reveals an address registered in Essex and upon investigation it appears the list rests within the property of a Sports Business. 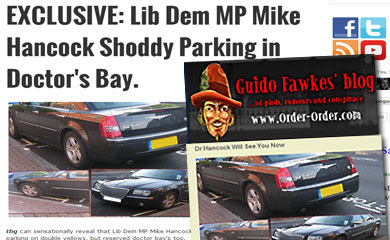 One Tory was spitting feathers: "I don't know how my email address was obtained. I'm really funny about my private details being given out, so I was a little bit alarmed. I gave my email to CF, sure, but I'm a bit worried about where else my private details have gone." TBG has learned that several official complaints have been made in what could be seen by some as the first throws in the organisation's national election campaign. Strange that the article makes no mention of the fact it was Stephen Canning's mailing list and that the company in question at that address was a "Stephen Canning Sports Ltd". 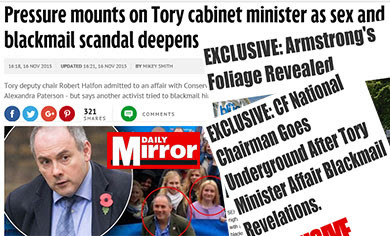 I did start to wonder how CWF got my email address lately, looks like there is alot of infor being taken from CCHQ atm. Really do think they should either remove those individuals from the CWF election, or re-run it. Anyone had any experience with purchasing sporting goods from Mr Canning? I'm looking for a new hunting cravat. EXCLUSIVE: CWF Plunged Into Data Theft Row. Oh Chairman Where Art Thou? EXCLUSIVE CF Chairman Poll: Result in Full. EXCLUSIVE: McKenzie Set to Run For YI Deputy. Next Conservative Future Chairman Poll. Concern Over Potential CF Challenger. NUS Hell Raiser MacFarlane on Whistle-stop Tour? Labour at War in Peterborough.